(Google translation of article from portal-credo.ru) Cleric Iverskogo Synodal Church Russian Orthodox Autonomous Church (ROAC) Archimandrite Trofim (Tarasov) was consecrated Bishop of Simbirsk, vicar of the Suzdal diocese, during the Divine Liturgy, which on February 6 in the church of St.. Blessed Xenia of St. Petersburg in a Moscow New Kupavna committed ROAC Council of Bishops, the correspondent of “Portal-Credo.Ru”. The decision on ordination Fr. Trofim was accepted by the Bishops’ Council ROAC in Suzdal, February 4 and February 5 in the Synodal church held its naming as bishop. Church of St.. Xenia of Petersburg, built by his abbot Archpriest Andrei Walewski, celebrated the feast day on February 6. After years of trials, during which the administration Noginsk district, Moscow region sought to challenge the right of. Andrew build a temple on his private land, the legal position of the temple was stabilized. After the Divine Liturgy, Bishop Andrew Pawlowski (Maklakov), Managing ROAC parishes in the U.S., consecrated the crosses that will be installed on the dome of the temple, and then was made a procession to the constructed at the entrance to the temple of the Holy Chapel. Alexander Nevsky, where Archbishop Otradnensky and North-Caucasian Theodore (Gineevsky) consecrated the icon of the prince. Divine Liturgy and the consecration of Bishop Trofim committed ROAC first hierarch, Metropolitan Valentin of Suzdal and Vladimir (Rusantsov), administrator of the Synod of Bishops, Archbishop ROAC Otradnensky and North-Caucasian Theodore (Gineevsky), Archbishop Seraphim of Sukhumi and Abkhazia (Zinchenko), Archbishop Timothy Kurgan and Orenburg (Sharov ), Bishop of Tula and Bryansk Irinarkh (Nonchin) and Bishop Andrew Pawlowski (Maklakov). 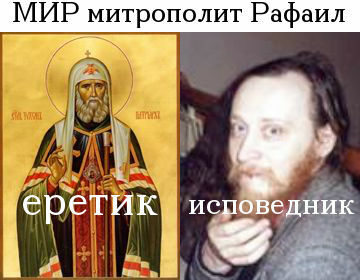 They have served the Dean of the Moscow District Suzdal diocese ROAC Archpriest Michael Ardov, rector of St.. John the Baptist in Armavir (Krasnodar krai), Archimandrite Mark (Rossokha), rector of St. Vladimir’s church in Yaroslavl, Archpriest Nikolai Kobychev, rector of St.. Xenia of St. Petersburg in New Kupavna Archpriest Andrei Walewski and Archdeacon Demetrius Karpenko. During the minor entrance, Metropolitan Valentin awarded miter Archpriest Nikolai Kobycheva and Andrew Walewski. Handing over the baton novopostavlennomu episcopal bishop at the end of the liturgy, the first hierarch ROAC urged him to “keep integrity” and did not transgress the limits of episcopal authority, preserving the hierarchy and obedience to senior fellow bishops. He recalled that the bishop enters the arena of Trofim svyatitelskogo ministry in heavy for ROAC era persecution of amplification that requires the bishop’s special courage and nestyazhatelnosti. Bishop Trofim – Chuvash nationality, comes from the catacomb of the medium. Almost 15 years he served in Suzdal abbot Cosmo Damianovskogo church, which restored the ruins, but was forced to leave him after the entry into force of the decision of the Arbitration Court of Vladimir region about the exile community ROAC of the 11 churches of Suzdal in 2009. Trofim Bishop has a reputation for profound spiritual and prayer, he would minister to the registered and catacomb communities ROAC in the Middle Volga. 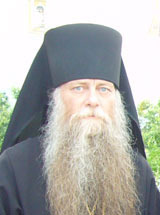 (Google translation of article from portal-credo.ru) The Episcopal consecration of the Rector of St John the Baptist in Armavir (Krasnodar krai) Archimandrite Mark (Rossokha) as Bishop of Armavir, vicar of the North Caucasian diocese of the Russian Orthodox Autonomous Church (ROAC), held on 10 February, the day the 20 th anniversary of his episcopal consecration ROAC Hierarch Metropolitan Valentine of Suzdal and Vladimir, in Iveron Synodal church in Suzdal, the correspondent of “Portal-Credo.Ru”. Father Mark was elected by the Synod of Bishops ROAC candidate for more than two years ago. In Suzdal diocese ROAC he moved in 2005 from the ROCOR (L), previously served in Yakutsk, where he was a cleric Ishim Diocese of ROCOR. Diaconal and priestly consecration of Bishop Mark received from Bishop Eutyches (Kurochkin), now located in the ROC. On the eve of his consecration, after Vigil February 9, Iveron temple was naming Archimandrite Mark Bishop of Armavir. 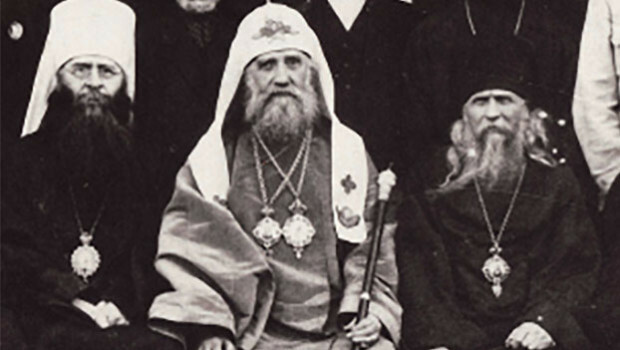 In the follow-ordination and consecration was attended by eight bishops ROAC: Metropolitan Valentine of Suzdal and Vladimir (Rusantsov), Archbishop Otradnensky and North-Caucasian Theodore (Gineevsky), Archbishop Seraphim of Sukhumi and Abkhazia (Zinchenko), Archbishop Timothy Kurgan and Orenburg (balls), Bishop Tula and Bryansk Irinarkh (Nonchin), Bishop Andrew Pawlowski (Maklakov), Bishop James Sukhodolskiy (Antonov) and Bishop Simbirskiy Trophy (Tarasov), consecrated on February 6. They rendered a clergy of the deanery of Suzdal and participants XV Congress of the clergy, religious and lay the Suzdal diocese ROAC. At Bishop Mark responsibilities assistant ruling Archbishop Otradnenskoye and North Caucasian Theodore for the diocese, the main temple which is situated in the village Pleasing Krasnodar temple. Today ROAC in the North Caucasus has four parishes. As far as the editors of “Portal-Credo.Ru” information, Mark Bishop plans to begin construction of the monastery-temple complex on private land belonging to one of the benefactors of the community.